Am vazut ceva asemanator si mi-a placut ideea. Am incercat sa variez nitel motivele folosite. Iata 2 exemple. lucrate din fir acrilic. Marime universala. Florile se prind cu clema sau clama si se pot folosi ca ornament pt esarfa, caciulita ce permite prinderea lor sau simplu, in par. I saw something similar and I loved the idea. I tried to vary a little the motifs I used. Here are 2 examples. made of acrylic thread. Universal size. 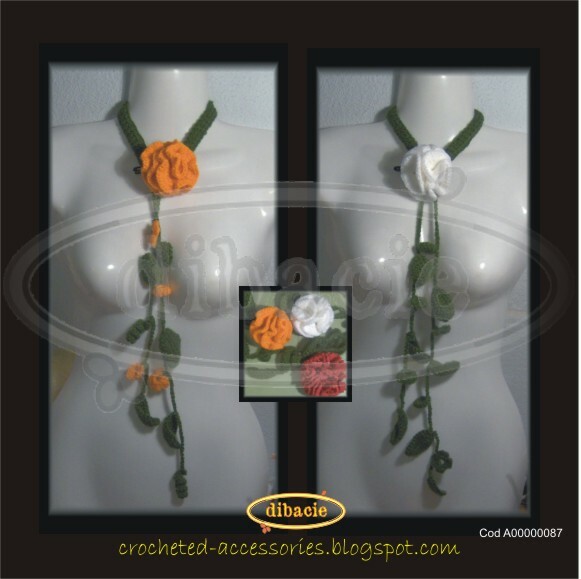 The flowers can be fixed with a hair clip and they can be used as scarf ornament also, on a cap that allows the clip to be inserted in it, or just i your hair.